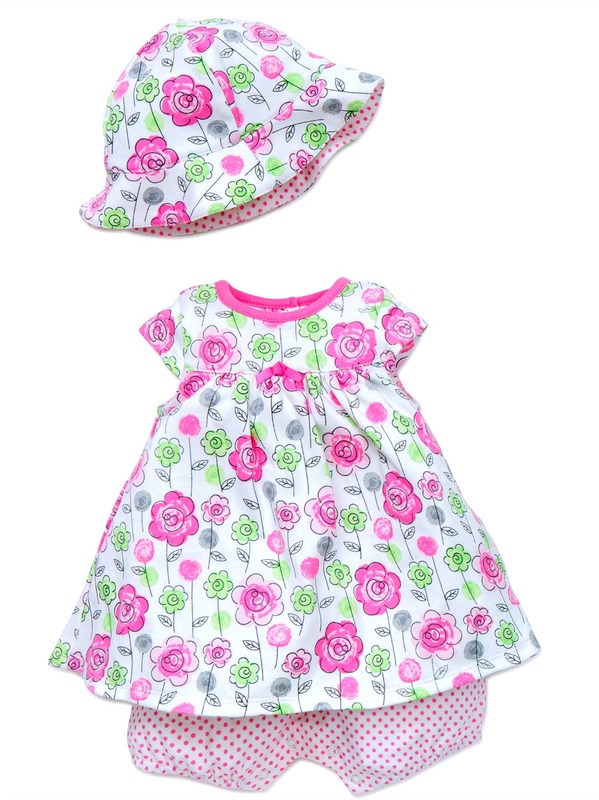 Adorable cheerful pink and green floral and dot one piece popover comes with matching roll brim sunhat. So cute! Soft cotton. Inseam snaps. Machine wash. Imported.